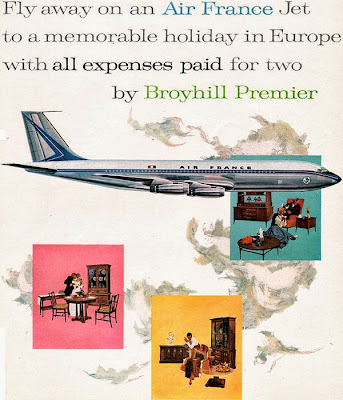 As I was hunting for any information I could find about Broyhill Facet furniture, I came across a few vintage Broyhill Premier ads that I had never seen before. 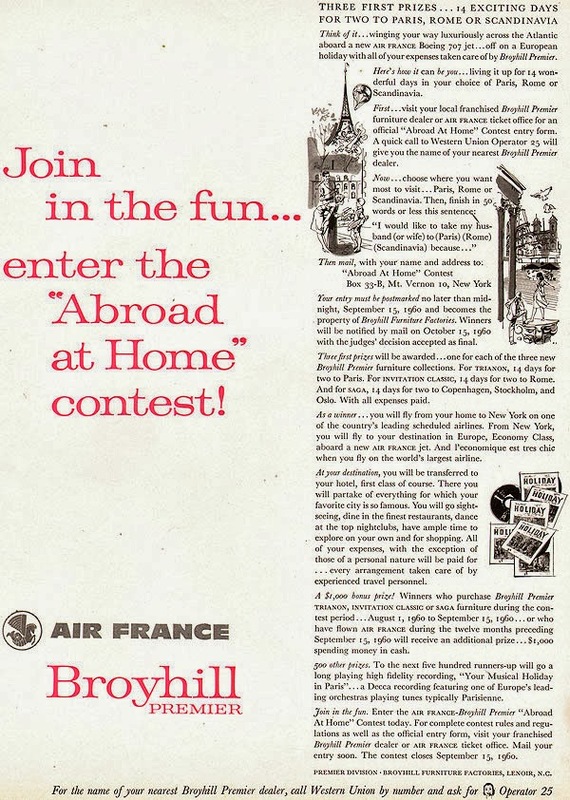 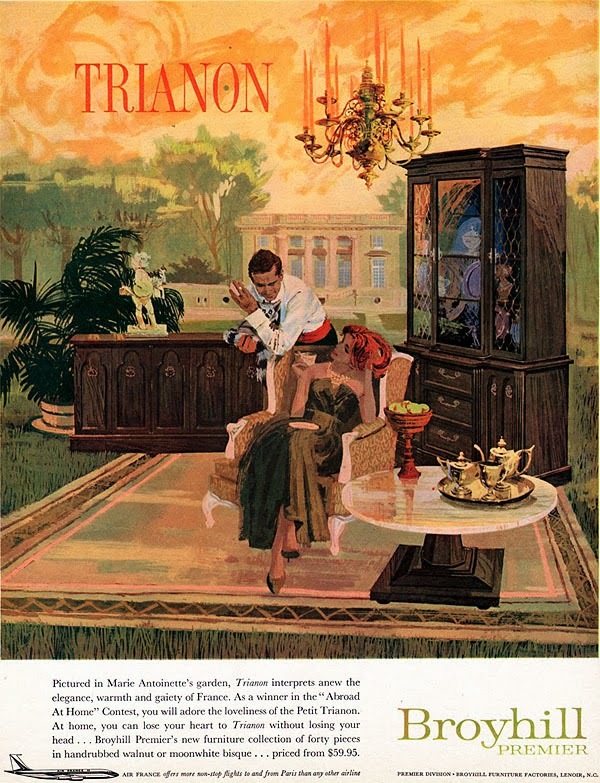 This mini-brochure for a Broyhill Premier and Air France cross-promotion with some great illustrations of the Saga, Invitation and Trianon lines. 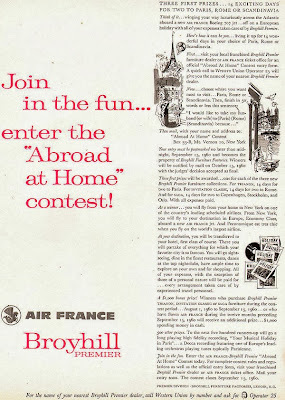 And this two pager which includes the Broyhill Sculptra, Saga and Cerama lines. 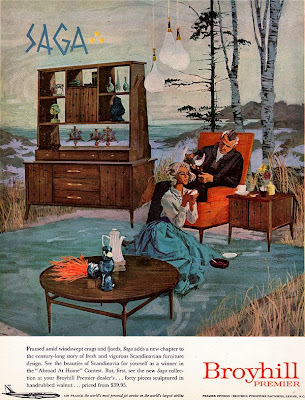 The Broyhill Cerama line is another one of those mystery lines that I've never heard anything about before, but it looks like an interesting collection. The only time I've seen the Sculptra triple chest / platform before now is the illustration in the Broyhill Sculptra brochure. 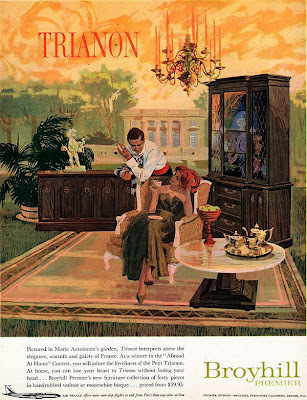 To me, it looks a little out of place with the rest of the Sculptra line, with rounded squares instead of the hard corners. 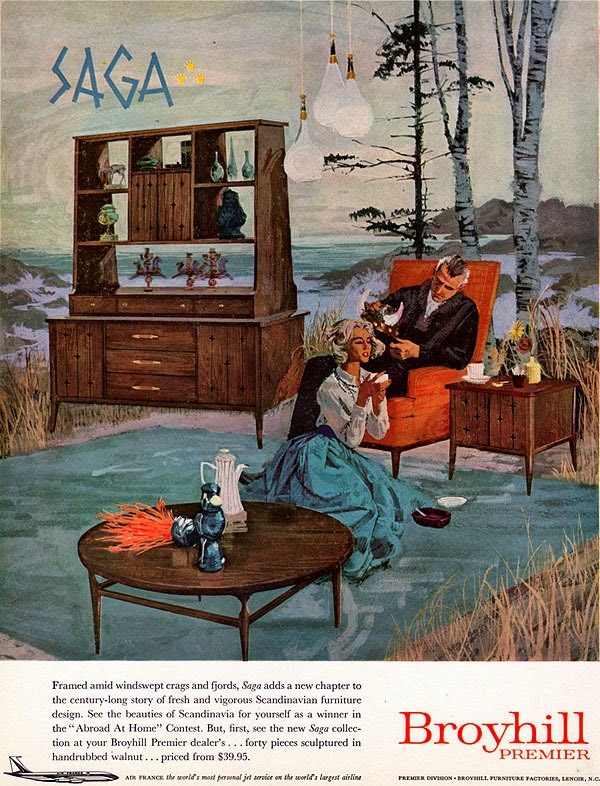 I have a chest of drawers and dresser with mirror from the cerama line.